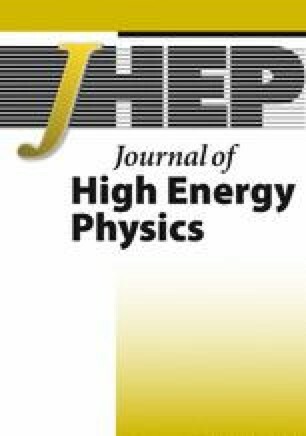 We analyze the range of applicability of the high energy Reggeon Field Theory H RFT derived in . We show that this theory is valid as long as at any intermediate value of rapidity η throughout the evolution at least one of the colliding objects is dilute. Importantly, at some values of η the dilute object could be the projectile, while at others it could be the target, so that H RFT does not reduce to either H JIMWLK or H KLWMIJ . When both objects are dense, corrections to the evolution not accounted for in  become important. The same limitation applies to other approaches to high energy evolution available today, such as for example [2, 3] and [4-6]. We also show that, in its regime of applicability H RFT can be simplified. We derive the simpler version of H RFT and in the large N c limit rewrite it in terms of the Reggeon creation and annihilation operators. The resulting H RFT is explicitly self dual and provides the generalization of the Pomeron calculus developed in [4-6] by including higher Reggeons in the evolution. It is applicable for description of ‘large’ Pomeron loops, namely Reggeon graphs where all the splittings occur close in rapidity to one dilute object (projectile), while all the merging close to the other one (target). Additionally we derive, in the same regime expressions for single and double inclusive gluon production (where the gluons are not separated by a large rapidity interval) in terms of the Reggeon degrees of freedom. H. Lotter, Phenomenology of the BFKL Pomeron and unitarity corrections at low x, hep-ph/9705288 [INSPIRE]. H. Navelet and R.B. Peschanski, Conformal blocks in the QCD Pomeron formalism, hep-ph/9611396 [INSPIRE]. Y. Hatta, E. Iancu, C. Marquet, G. Soyez and D. Triantafyllopoulos, Diffusive scaling and the high-energy limit of deep inelastic scattering in QCD at large-N c, Nucl. Phys. A 773 (2006) 95 [hep-ph/0601150] [INSPIRE].